Steve is currently working with the Matsudo church of Christ in Chiba Prefecture to the east of Tokyo. He and Debbie (deceased) began their work with this congregation in the fall of 2007. Before this they worked with the Tachikawa church of Christ in a suburb, Tachikawa, of Tokyo. 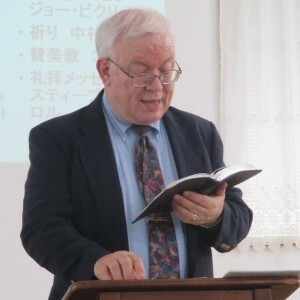 Bill Carrell, Steve’s father, was a missionary in Japan in the 1950’s and 1960’s. Steve spent his early years in Japan. He and Debbie returned to Japan in 1979 and worshiped/worked with the Tachikawa church until they moved to Hokkaido. After working there they moved to Ibaraki to work with the Hidaka church before going to Tachikawa. Debbie passed away August 12, 2015.